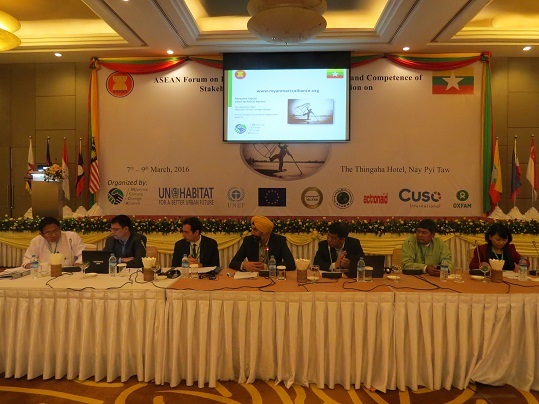 Nay Pyi Taw, 7 March 2016 – MCCA and partners, led by Myanmar, conducted the ASEAN Forum on Improvement of Knowledge, Skills and Competence of Stakeholders in Climate Change Adaptation in Nay Pyi Taw, Myanmar, from 7th to 9th March 2016. 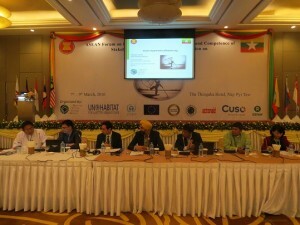 The Forum was organized in partnership with the Department of Rural Development of the Ministry of Livestock, Fisheries and Rural Development and Myanmar Climate Change Alliance (MCCA) Programme of UN-Habitat and UNEP, funded by the European Union. The ASEAN Secretariat and other partners participated in the organization, in particular ActionAid, Cuso International, Oxfam and the local NGO Eco-Dev. 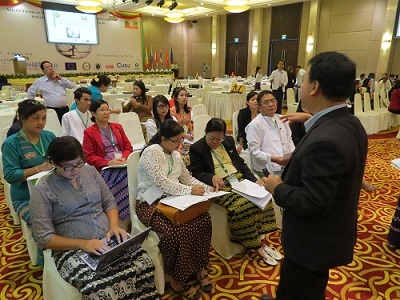 The forum connected experiences from ASEAN countries on how education and university curricula treat climate change, thus to create knowledge and competencies for resilient agriculture and food security. 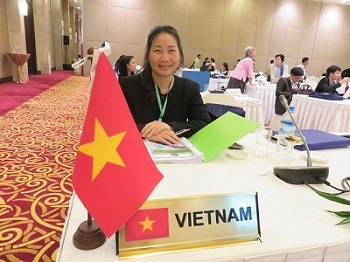 Universities and institutions from Myanmar, Vietnam, and Lao PDR outlined how climate change is the single most challenging issue to their development, which depends on 30% average from agricultural sector. With this awareness, these countries are focusing on both community-based and farmer’ capacity building as well as formal degree education in agriculture, food security, fishery, livestock, and water management to created competences on climate change in this sector. The Minister of Rural Development, Livestock and Fisheries highlighted how Agriculture and Food Security is one of the most important focus areas of the new Myanmar National Clim ate Change Strategy and Action Plans, elaborated by MCCA with the Ministry of Environmental Conservation and Forestry. For Myanmar to achieve a resilient agriculture and food-security sector, however, competencies muust be created through all level of formal and non formal education. Experts from International Rice Research Institution (IRRI), Cuso International, ActionAid, invited by MCCA, highlighted the priorities for research and action in ASEAN. Dr. Reiner Wassmann (IRRI) highlighted how, in the light of Paris Agreement, the ASEAN countries need to urgently develop stronger competences on mainstreaming climate change in the agriculture and food security sector. Mr. Harjeet Singh, the global lead on climate change for ActionAid, emphasized on the importance of building a partnership between scientists and farmers when it comes to finding sustainable solutions to climate changes. He argued that farmers are the ones experiencing the impact of climate change at firsthand and are generally underestimated when it comes to the expertise they can bring to research. Mr. Pasquale Capizzi, Chief Technical Advisor of MCCA highlighted the need to produce an actionable output from the Forum to advance competences in the Region. In this sense, the working groups prepared an outline of concept note for a programme on Climate Field School to support farmers on the one hand and, on the other, to advance formal education and research to fill gaps in knowledge and know-how in ASEAN. The ASEAN Secretariat reacted positively, and stated this project might be funded as it makes sense and comes from a participatory discussion. Partners agreed to develop the concept note, to support submission to ASEAN Secretariat. More than 150 participated from ASEAN countries, Embassies in Myanmar, UN Agencies, INGOs/NGOs, governmental officials and universities in the two-day forum and on the third day, visited three universities in Nay Pyi Taw: Yezin Agricultural University, University of Forestry and University of Veterinarian Science.